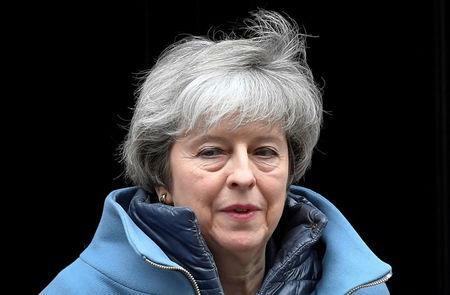 LONDON (Reuters) - Prime Minister Theresa May told lawmakers on Tuesday to hold their nerve over Brexit and give her more time to negotiate a deal acceptable to both the European Union and the British parliament. "The talks are at a crucial stage", May told parliament. "We now all need to hold our nerve to get the changes this House requires and deliver Brexit on time". However, Guy Verhofstadt, the European Parliament's Brexit pointman, said he has yet to hear of a proposal to break the deadlock. "What are these negotiations at a 'crucial state' raised in the House of Commons? The way forward is cross-party, not kicking the can towards a disastrous no deal", he said on Twitter. May's hopes of delivering an on-time Brexit were also undermined by an ITV news report which cited Britain's lead negotiator Olly Robbins as being overheard in a Brussels bar saying: "In the end, they (the EU) will probably just give us an extension". British lawmakers rejected May's withdrawal deal last month, with the major sticking point being the Irish "backstop" - an insurance policy to prevent the return of a hard border between British province Northern Ireland and EU-member Ireland. "By getting the changes we need to the backstop; by protecting and enhancing workers' rights and environmental protections; and by enhancing the role of parliament in the next phase of negotiations I believe we can reach a deal that this House can support", May said. "This is an irresponsible act. She is playing for time and playing with people's jobs, our economic security and the future of our industry"